Nearly no one liked him at home. He was hailed as a great political figure abroad, though. He spent all his life looking forward to becoming a prophet in his own country, but Palestinian hearts and minds are not that easy to win over. Last week and after months of political bickering and governmental stalemate, former Palestinian Prime Minister Salam Fayyad, handed in his resignation (although he has accepted to remain as caretaker PM) to a relieved Mahmoud Abbas. Indeed, everybody in Palestine and elsewhere was aware of the growing hatred each figure felt towards the other. They have publicly clashed many times, particularly over their respective powers or economic policies. The face-off reached unprecedented heights in recent weeks, coming to a head with the resignation of the Finance Minister Nabil Qassis, which was accepted by the Prime Minister (who coincidentally was previously in charge of the portfolio) but rejected by the President. Fayyad, a US-educated seasoned economist (former senior official at the International Monetary Fund) and a darling of the international community mainly thanks to his statesmanship and his “modern approach” towards the Israeli-Palestinian conflict, was appointed PM in 2007, after the war in Gaza. In the beginning, he was relatively successful in revitalising the battered Palestinian economy. He was nonetheless repeatedly (wrongly, in my opinion) accused of using international aid to build non vital infrastructures such as roads instead of actually fighting for the Palestinian cause. But nobody ever dared to accuse him of dishonesty or corruption, moreso when he was the one to fight for the establishment of a real rule of law, transparency and accountability. On top of that, he was a born fighter patriot, who demonstrated many times against the Wall and joined his brethren in honnourable activities such as picking the Palestinian symbol, olives. He endured the long Israeli Mukataa siege with Yaser Arafat, thus gaining the leader’s trust and support. He was accessible and warmhearted, he wanted to know everything about his fellow countrymen and approached them every time he could. If something, he might have been accused of arrogance and abuse of political maneuvering. He was incredibly media-savvy and often used Western media to his advantage. He once counted with the protection of Abbas, who has defended him many more times than most believe. All in all, he set oneself up as the ideal scapegoat. His not being a member of Fatah caused him several intermittent problems. His coup de grace came with last December’s historical UN decision, which resulted in both the US and Israel withholding vital funds for the West Bank. Then, Fayyad ran into trouble and had to bravely confront what some called a “Palestinian Spring“. It was however his people and not outside actors (even though some pundits have hinted Kerry’s public statement in his defense has actually been Fayyad’s kiss of death) that have thrust his quitting. He clashed many times with the West Bank’s bureaucracy, notably with the union of local public service employees, headed by a member of the Fatah Revolutionary Council (the Party’s Parliament). Disagreements arose regularly, as one of the former PM’s main aims was to regularize the overblown and incredibly powerful civil service. The latter found the perfect opportunity to counter-attack when, the Palestinian territory being in a shoestring, salaries were late and unionists directly accused Fayyad. Hamas, whose members were not absolutely in love with Fayyad either (principally because he ordered the arrest of Hamas militants in the West Bank, but also because he clearly personified the large gap between an increasingly extremist Gaza and an increasingly modern West Bank), has also welcomed the move, although they have stressed this remains a problem within the Palestinian Authority that should not affect ongoing efforts towards Palestinian Reconciliation. Israel, who considered Fayyad more as a trustworthy partner, has cautiously reacted in a similar fashion, though, underlining the fact that this is a Palestinian issue. What about Fayyad’s successor? One name that has been mentioned is Muhammad Shtayyeh, senior Fatah official and adviser to the President. Palestinians also talk of Mohammad Mustafa, economic adviser to Abbas and chairman of the Palestine Investment Fund, posts that guarantees expertise in managing finances. Some trust a businessman, Mazen Sinokrot, former Finance Minister, who presents a great advantage: having good relations with Hamas. President Abbas himself could become the new Prime Minister in a Government of “national consensus”, by virtue of the reconciliation agreements both groups entered into in Cairo (April 2011) and Doha (February 2012). A shocking theory has become louder all over Palestinian media as of lately: some Fatah officials believe Fayyad is positioning himself to be the next president of Palestine, if Abu Mazen does not run again, that is, as for the moment there are no serious contenders to the office and Fayyad is perfectly aware of the popular grassroots support he has gathered up until now. This decision adds to the several issues Fatah is already facing. And puts the Palestinian Authority in a very difficult position as, regardless of their being right or wrong, international donors will ask for a substitute worthy of their money, a respected political leader able to guarantee the funds are going to bankroll sensible projects instead of disappearing into the pockets of corrupt officers. It all falls into the hands of Abbas himself. US President Barak Obama affirmed during his last trip to Jerusalem that the Israelis had “true partners” in Mr Abbas and Mr Fayyad. He maybe was not wrong. 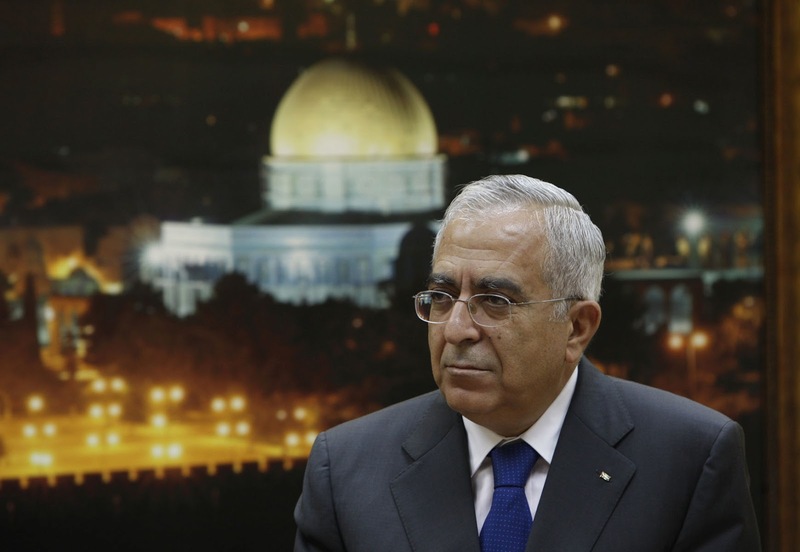 Paradoxically, as it’s thanks to Salam Fayyad that Palestine has earned the title of functioning state, Palestinian statehood, at least for now, looks more distant than ever.